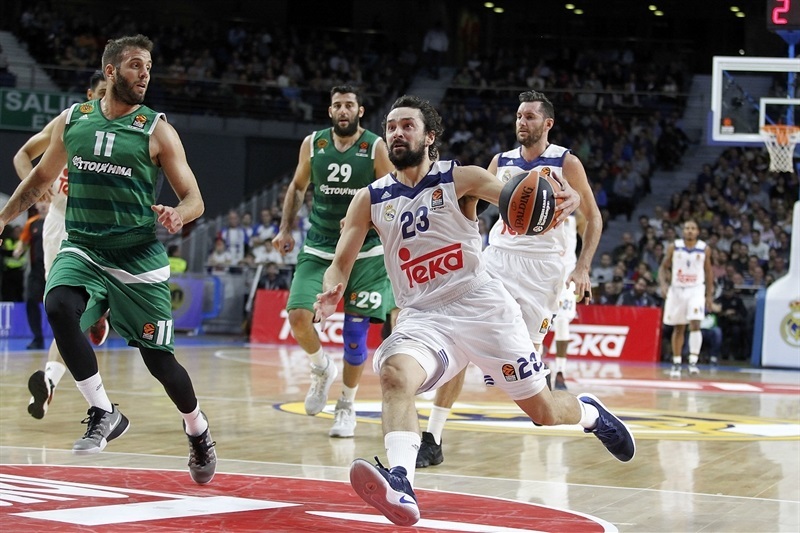 Sergio Llull masterminded an exciting victory for Real Madrid as Los Blancos moved into a share of second place in the standings with an 87-84 triumph over Panathinaikos Superfoods Athens in a contest that went right down to the final shot at Barclaycard Center. 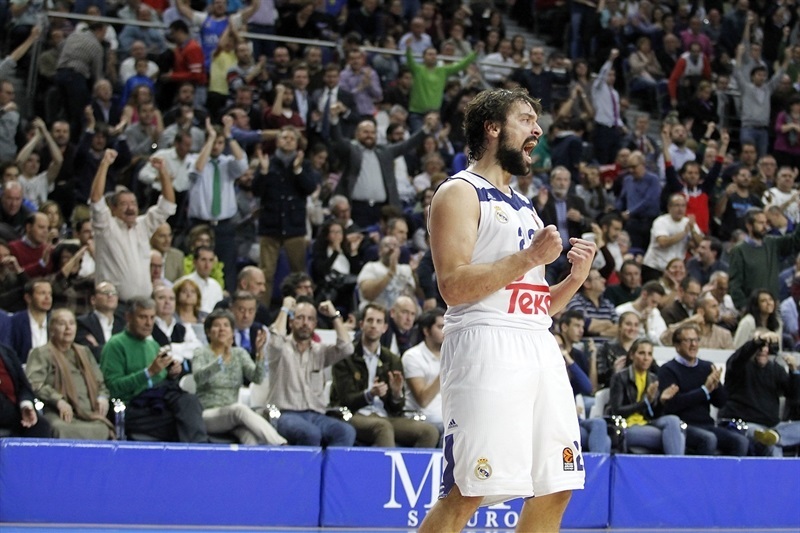 Llull led his team with a career-high 30 points, including the crucial go-ahead score in the last minute to settle a game which was enthralling throughout. 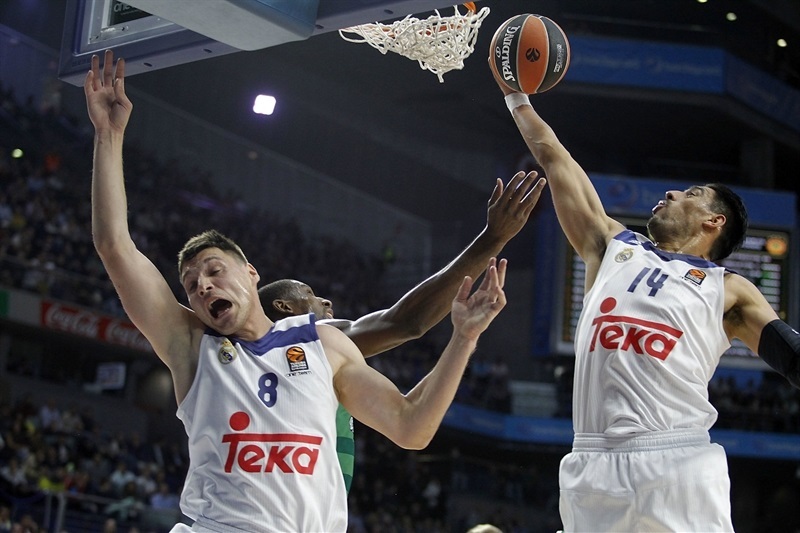 Llull’s 30 points were complemented by 12 from Anthony Randolph, while Gustavo Ayon made a big overall contribution with 8 points, 6 rebounds, 5 assists and 4 steals. 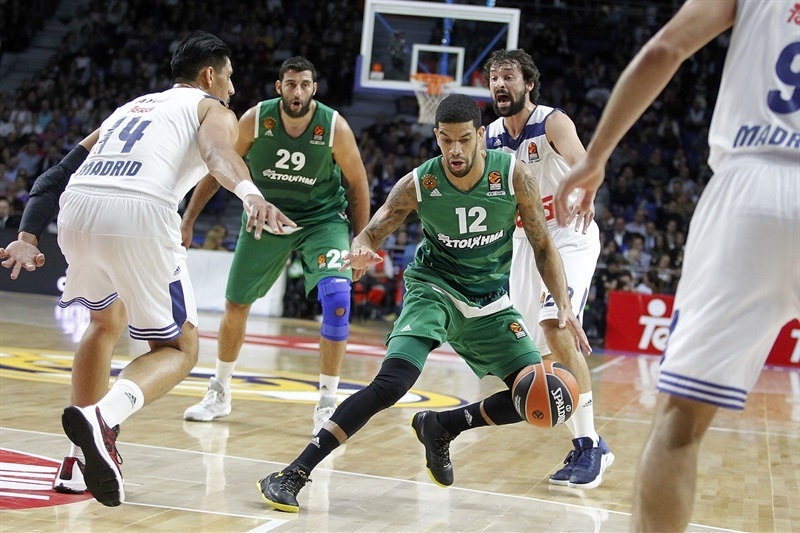 Defeat was harsh on Panathinaikos’s outstanding point guard Nick Calathes, who scored 15 points and dished 9 assists, while the top scorer for the Greens was James Feldeine, who scored 19 points on 6-of-7 three-point shooting. 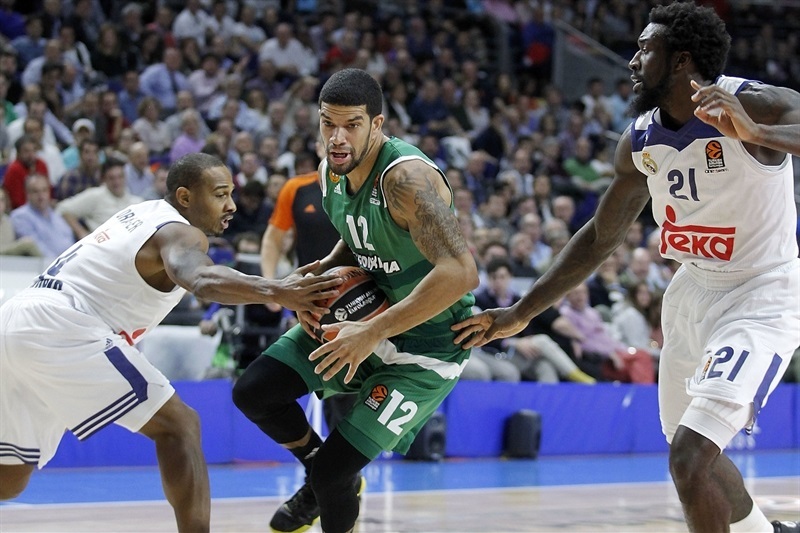 Big men Ioannis Bourousis and Chris Singleton provided 13 points apiece in a losing cause. Panathinaikos took early control as Feldeine heated up quickly, scoring 3 triples in the first five minutes to establish a 6-point lead. 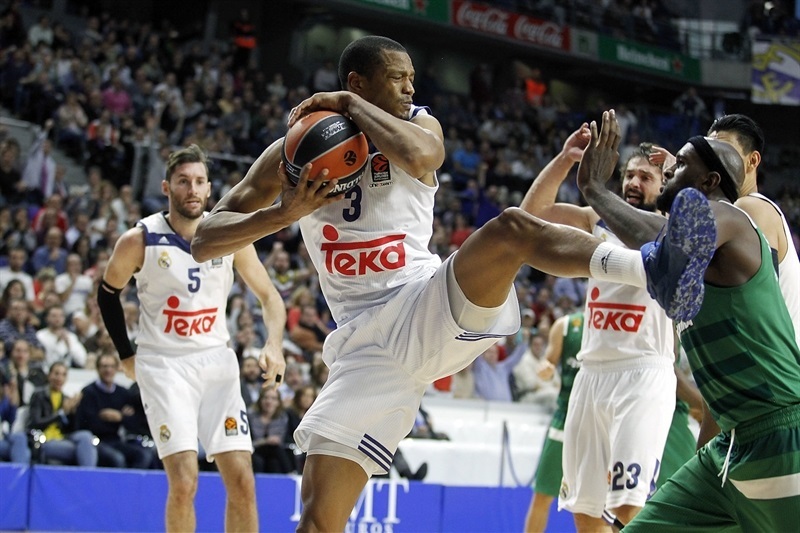 The second quarter delivered an explosion of points, especially from Madrid as Llull started to take command and Trey Thompkins came off the bench to score 8 points in a minute. 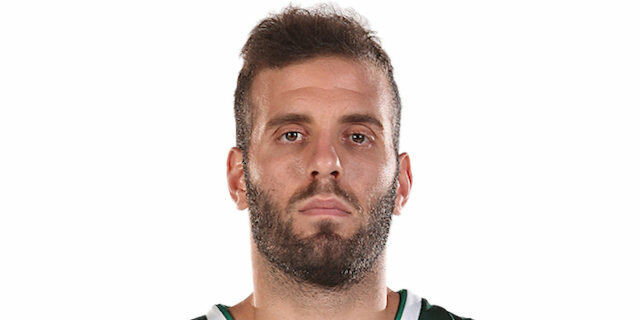 But Calathes’s playmaking skills allowed Panathinaikos to keep in touch, and the visitors struck 11 three-pointers by half-time. 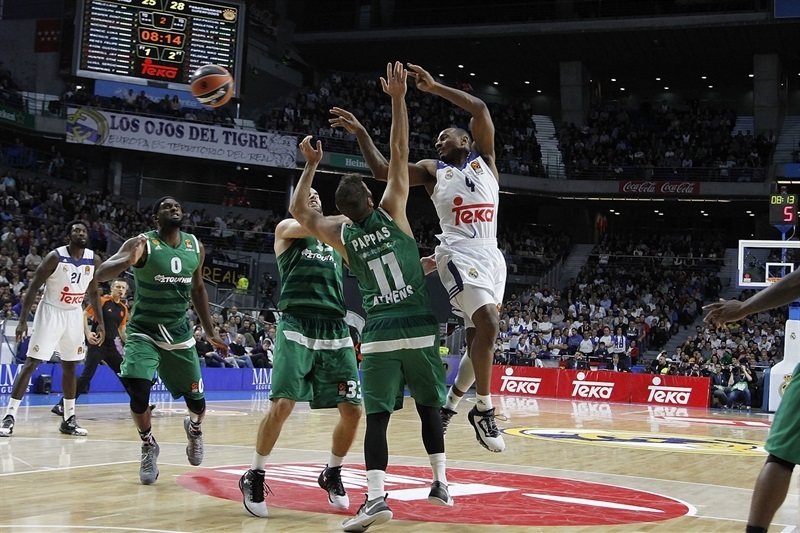 The Greens then scored the first 6 points of the second half to go ahead, before Madrid battled back and leads were traded until the hosts went 7 points clear early in the fourth. But Panathinaikos would not submit easily, going on a 0-8 burst to retake the lead. 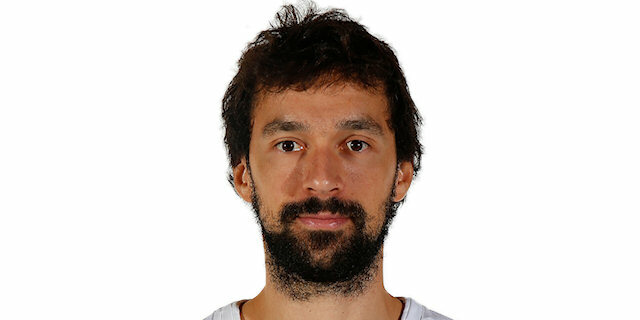 It was back and forth until Llull broke the tie by driving to the basket to score, and KC Rivers couldn’t get away a clean shot as Panathinaikos attempted to force overtime on the buzzer. "First of all, congratulations to my team for the win. I think it was a hard-fought victory. We had to work hard for 40 minutes, which I value a lot, because we didn't disconnect at all during the game. Their three-point shots took us out of our good defense during the first half. They were patient and found good shots. After that, we had problems to run the break and get the lead, but that is what happens when you play against a great team: you have to play until the last second. 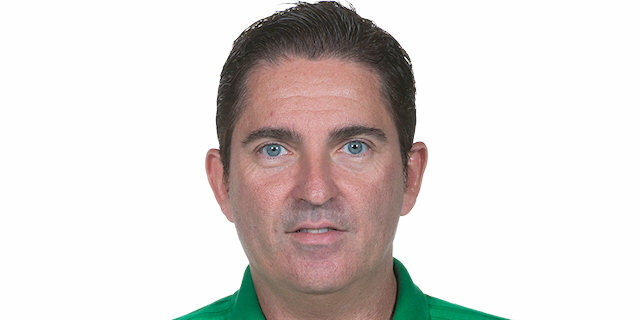 I am happy because we won, knowing that Panathinaikos is a team that is competing really well. 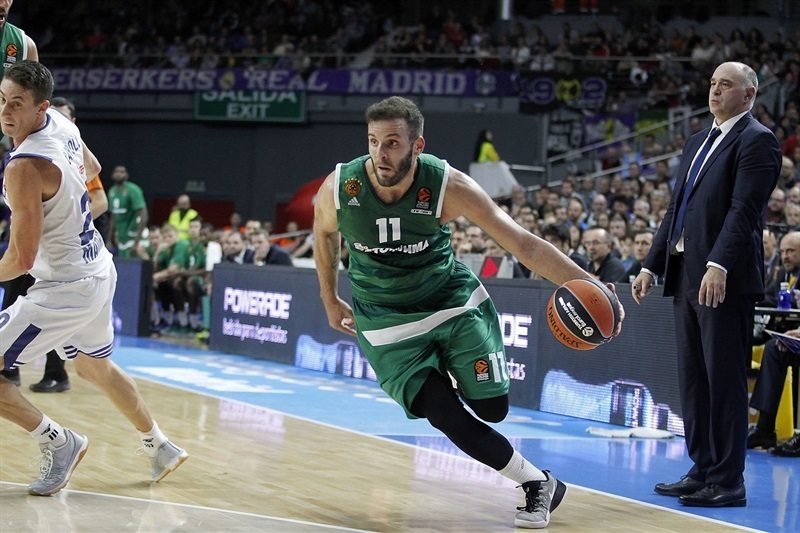 They proved it from the beginning of the EuroLeague, have great players and I think it was an important win for us. After going to Moscow on Thursday, we knew we had 10 very demanding days, playing against the EuroLeague reigning champion, the Spanish League leader, Panathinaikos and now Barcelona and after that, to the Canary Islands to face Spanish Supercup winner, Herbalife Gran Canaria Las Palmas. It is a very demanding effort, physically and mentally. I think that the team competed quite well in the last three games, with some basketball mistakes, of course, but I believe we took a step forwards in terms of competiveness, regarding of our results. I don't think it is good to overthink things, but to focus on the next game." "Very tough, very tough, because two aspects of the game that were very important was the three-point percentage for them, which was very good, and because they shot the ball well from outside, they created a lot of space and outrebounded us. We controlled the rest of the stats, but it was tough until the end. They're an experienced team and we knew it was going to be very tough." "First of all, congratulations to Real Madrid for its win. I think we did well in general and competed well. The second quarter was a key one for the evolution of this game. We made three consecutive mistakes and we know Madrid always penalizes. We allowed 32 points in the second quarter. We did a good job on defense other than in the second quarter. We did quite well on offense, controlling the pace. We had the possibility of winning, but had a couple of mistakes in the end and couldn't do it. We have to move on and think on the next game. 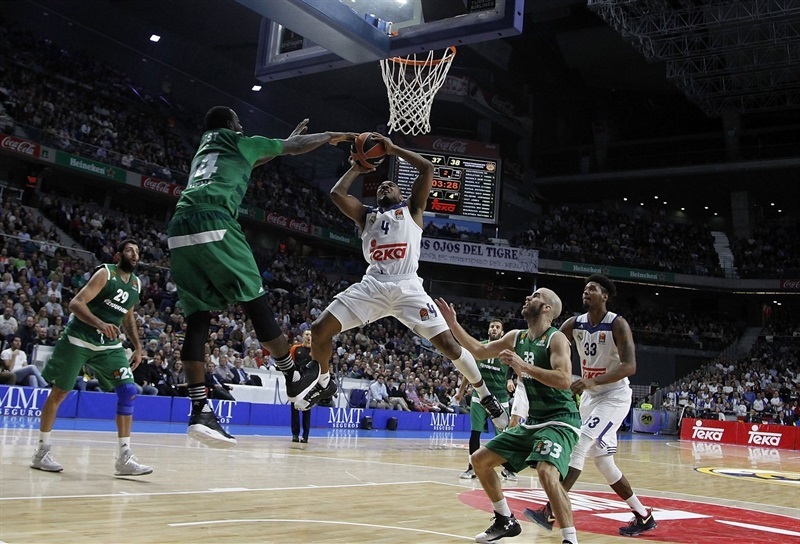 Gist's injury was the worst news of the night. I think it is going to be an important injury and am worried about him. He is a very important player for us and an important loss for us." "We are happy. I think that was a tough game. Panathinaikos has really good players. They showed that. But we're happy. We fought til the end and we got another win here at home. I love all the games. I love playing basketball, and if the game is tight, I am going to be here. Some days to make it, some days to miss it, but I think that the important thing is that I want the shots." "We had the control of the game, but we made a lot turnovers at the end. The game had a high score, but we can score too. At the end of the game some mistakes from our side, some crucial shots gave Real the victory. The most important thing for our team is that we demand all the games against big teams. I believe that in the future we will give great joy to our fans with great victories. "